“Fall” in love with this lovely table runner using the Ruler Revolution 2" Sticks and Stones ruler. 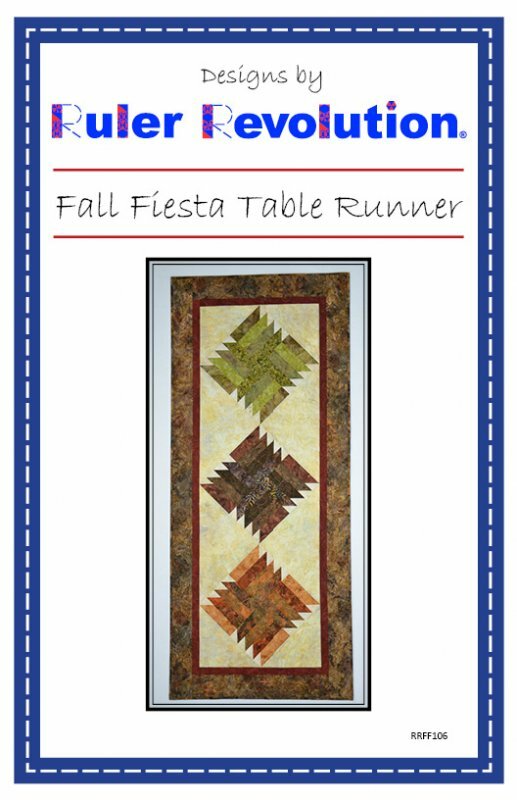 The table runner will add some welcome chill to the air for the fall seasons. Choose muted fall colors or brighten it up with vibrant golds, oranges, fuchsias, lime greens, or bright teals. This table runner can be pieced in an afternoon.